After a while your backyard set up may start to feel boring and dull. It’s not necessarily because of the outdoor furniture you have chosen to grace your outdoor living space, but perhaps the set up of the furniture. The easiest and most affordable way to update your outdoor living look is merely by arranging a new set up for the furniture pieces. Maybe rearrange them; maybe move them to a different area. Maybe reverse your deep seating pieces to accomplish that new look. Move a three-seat sofa to the opposite side of its previous location, move the loveseat, move the chairs, etc. There are so many different options of layouts and arrangements with your outdoor furniture; it’d be a shame to never change it up every once and awhile! Whenever you alter the set-up it does not necessarily mean you are changing the amount of space present either, unless you want to do that of course. The new set-up can make the area appear more spacious – even if it is just an illusion. Whenever you take a gander outside you’ll see a whole new environment! The idea is so simple you can utilize in your backyard or showroom. Be exciting, be unique, and be courageous! Don’t always do the same thing. We can’t express this enough! Just rearranging the furniture can make you feel like you bought a whole new set. Other simple ways to mix-up your design is by changing the color or style of throw pillows. That’s pretty easy and very cost-effective. If you’re feeling really adventurous, then go ahead and change the color and style of the entire fabric on the cushions for sofas and chairs. All of these ideas are sure to generate interest in your outdoor living area. Who knows, maybe you can even trick your usual guests when they come over next and they’ll think you bought a whole new set of outdoor furniture! Have fun! 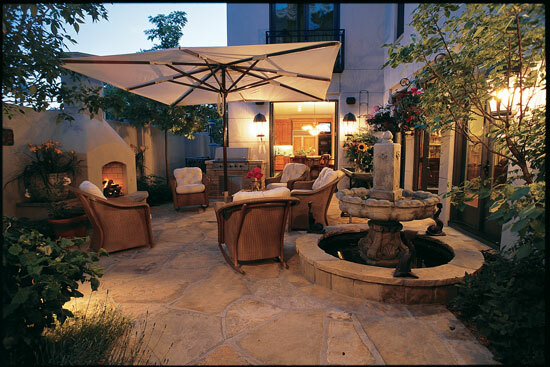 What are some things you all have done to freshen up your outdoor space?